The staff very kind and helpful. Perfect location. Hotel is really well located, and the staff is very nice and helpful. The apartment has a good size (compared to Parisian standards). The kitchen has only 2 stoves, but it's well equiped. Beds are comfortable. 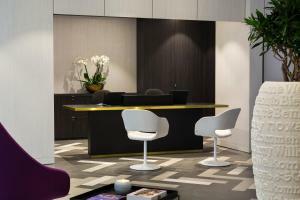 Very clean,very good snd excellent location ,excelent cooperation and facilities. Great location - close to Metro and lots of eateries! Very clean and well tucked away for privacy!! Everything. I mean everything. Ah.! Except breakfast. We didnt try but looks a bit simple but price wasn't simple. ^^? Very friendly staff. Luna on reception so helpful and friendly. Beautiful apartment. Great location! Everything you could ask for in a holiday. I was amazingly surprised about the cleanliness of the place. The appartment is nice and cozy. The location is great as there are lots of restaurants around. 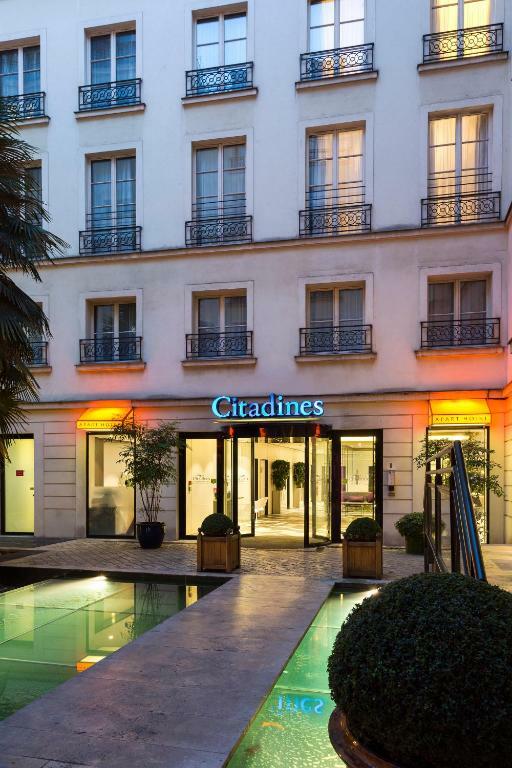 Lock in a great price for Citadines Opéra Paris – rated 8.1 by recent guests! 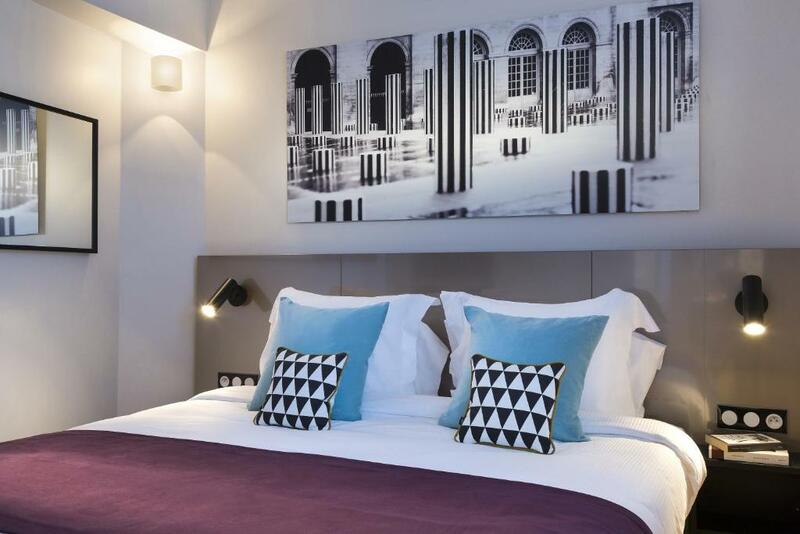 One of our top picks in Paris.Located in a lively neighborhood, Citadines Opéra Paris is a 5-minute walk from the Drouot auction room and the stock market. Paris Opera House and large department stores are only 10 minutes' walk away, and the Grévin wax museum is 1,000 feet away. The Grand Rex cinema is only 10 minutes' walk from the Citadines Opéra Paris, while the Louver museum is 15 minutes from the property by public transport. 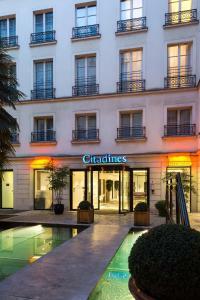 When would you like to stay at Citadines Opéra Paris? 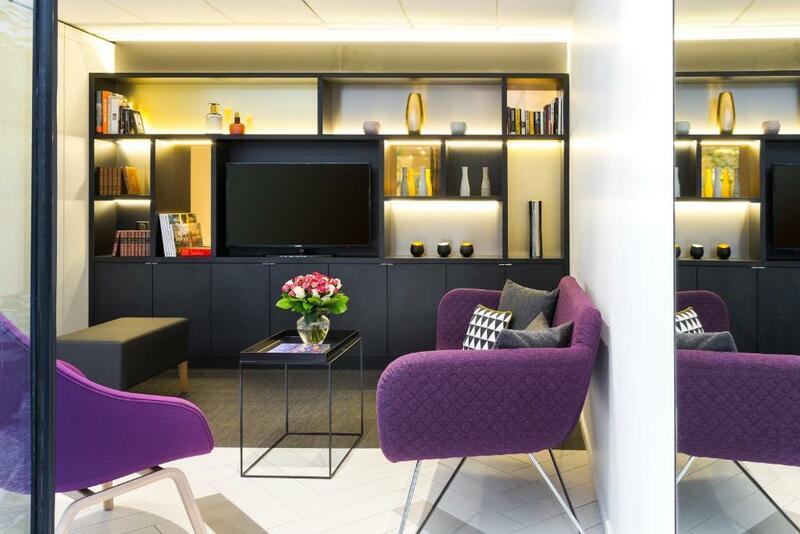 Featuring free WiFi, this air-conditioned apartment comes with a seating area fitted with a satellite TV. 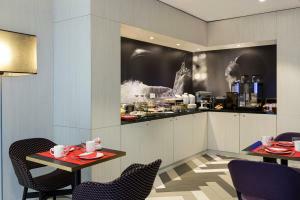 There is a fully-equipped kitchenette and a private bathroom equipped with a bath and a hairdryer. Guests will find a safety deposit box and ironing facilities in this apartment. Cleaning and bed changing are made once a week. Featuring free WiFi, this air-conditioned studio comes with a satellite TV. There is a fully-equipped kitchenette and a private bathroom equipped with a bath and a hairdryer. Guests will find a safety deposit box and ironing facilities in this apartment. 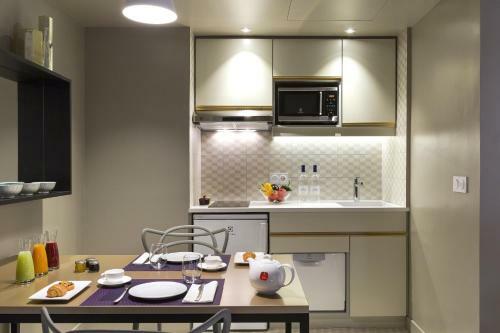 Featuring free WiFi, this suite comes with an equipped kitchenette, an iPod dock station and a bathroom fitted with a bath. Cleaning and linen changes are carried out once a week. Area Info – This neighborhood is a great choice for travelers interested in shopping, architecture and art – Check location Excellent location – show map Guests loved walking around the neighborhood! House Rules Citadines Opéra Paris takes special requests – add in the next step! 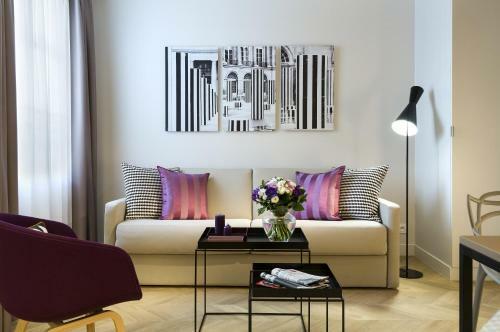 Citadines Opéra Paris accepts these cards and reserves the right to temporarily hold an amount prior to arrival. Nothing really. Staff we've met at the reception two ladies were always kind and helpful. Always smile and listen what we asked for. Clean and nice comfort room as well as great location. Also, parking ( even though 25 euro per night ) was excellent.!!! Thanks for everything. Water pressure in the shower is very low. Room had a bath tub but it would have taken very long to fill it. That is the only minus point we see. I did not read the terms of the booking carefully and did not know that the room cleaning is for extra fee. However, this is not a problem for a 2-4 days stay. When we checked in, we were given a room without any view, though we asked about it before in the questionaire. The view was to the wall of another building, and there was metal construction outside the Window, not what you expect when you travel with your Mom in France))). Mini Kitchen was also very small, cold in room, and air conditioner was very slow. We asked staff to change the room, they could only do that the next day. They gave me nice room, bigger and everything was fine, with inner yard view. I still donnot understand why they donnot inform guests that some rooms have construction outside the Window, and why these rooms have same price. 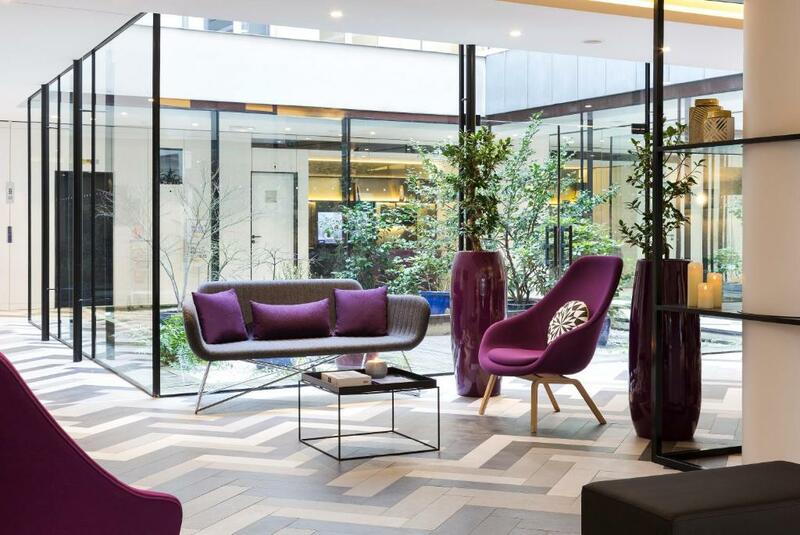 I think I will not stay at this hotel again, as there are many other options in Paris. For other things and conditions hotel is Ok.
Quiet and comfortable place, well located . Great location, near Subway station, easy to go around, near a big department store and shopping area. Walkable to many sightseeing places. Very clean, amazing location and the rooms are a lovely size. Everything was great, but maybe we could have had more information about the city and the hotel facilities at check in. The two men at the front desk, they were both really helpful. The hotel was pretty well located too. And the room size was excellent. location is perfect. studio is quite spacious for two people.